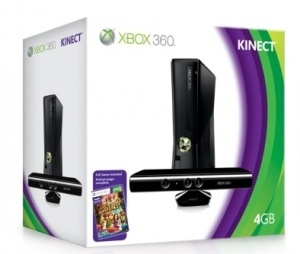 Microsoft draws a line in the sand, and the future of Xbox 360 console sales lies in the balance. For over a year and a half, gamers and legal scholars alike have watched the patent suit between Microsoft and Google-owned Motorola go from a straightforward dispute to a downright nasty courtroom showdown. Now, the amount of funds at stake "could finance a small country" and the International Trade Commission is even considering putting a stop to Chinese-made Xbox 360 imports which, at best, would drastically drive up their production costs. With just over a month left before the ITC decision is finalized, Motorola has offered an olive branch in the form of a settlement that includes a 2.25% royalty on future Xbox 360 sales. If Microsoft were to accept, the entire prolonged affair would finally be at an end. Instead, Microsoft has publicly rejected the offer setting the stage for a final ITC ruling in August that may not go in their favor. "While we welcome any good faith settlement effort," said Microsoft deputy general counsel Horacio Gutierrez, "it's hard to apply that label to a demand that Microsoft pay royalties to Google far in excess of market rates, that refuses to license all the Microsoft patents infringed by Motorola, and that is promptly leaked to the press." Motorola is also under fire for its use of Microsoft's ActiveSync technology on some Android phones. Microsoft has already filed and settled patent disputes with other companies for their unlicensed use of ActiveSync, but since the courts have already ruled that Microsoft infringed four Motorola patents, the tech company no longer has a strong position to negotiate a settlement. Motorola offered to pay 33 cents per ActiveSync-using phone sold, compared to the six to seven dollars Microsoft would need to pay per Xbox 360 under the 2.25% royalty fee. And that's actually an improvement from the 7% fee that Judge David Shaw argued Microsoft should be paying back in April. The fact that Microsoft isn't backing down after all that's happened suggests that they either believe they can get a better deal, or that they believe the ITC will rule in their favor. Unless the two companies come to a new settlement, the ITC will make its final ruling in August.